The Telegraph, in an article titled Regulators could be responsible for the next financial crash, pointed last week at a new report by the Systemic Risk Centre of the London School of Economics that is highly critical of recent regulatory developments. 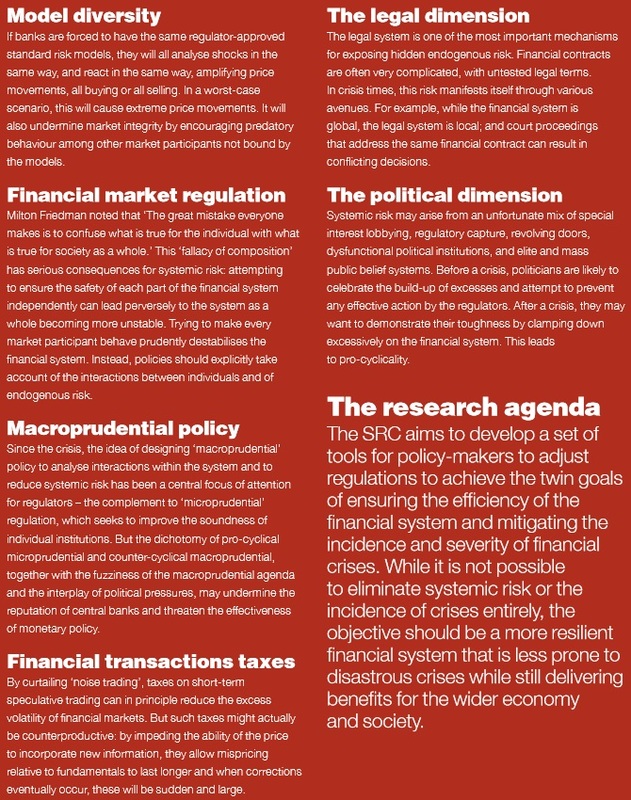 Society faces a difficult dilemma when it comes to systemic risk. We want financial institutions to participate in economic activity and that means taking risk. We also want financial institutions to be safe. These two objectives are mutually exclusive. 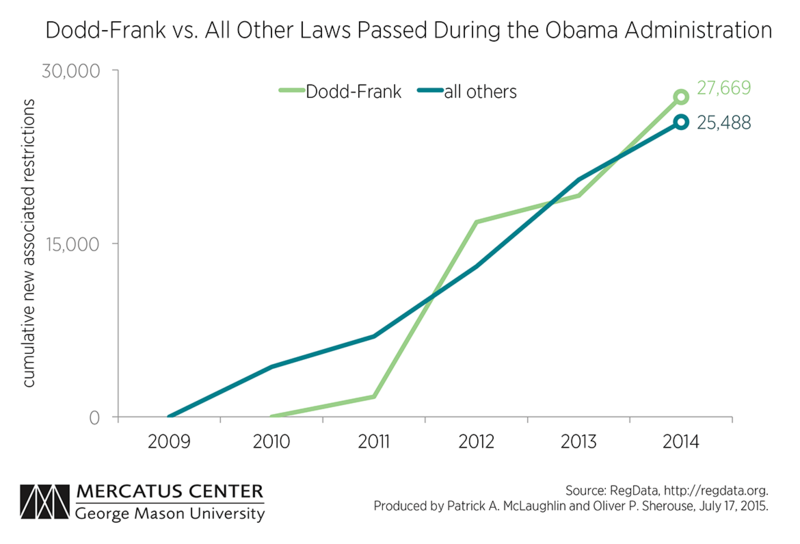 Now we have to keep in mind that this chart only reflects restrictions (and there are limits to their methodology, which involves counting all sentences that includes certain words). Banks are also required to follow rules that do not qualify as restrictions, but still guide the way they should account for various financial items. Risk-weighted assets, for instance, aren’t restrictions per se. But they are classifications that banks had to follow when maintaining certain amounts of capital against certain types of assets. 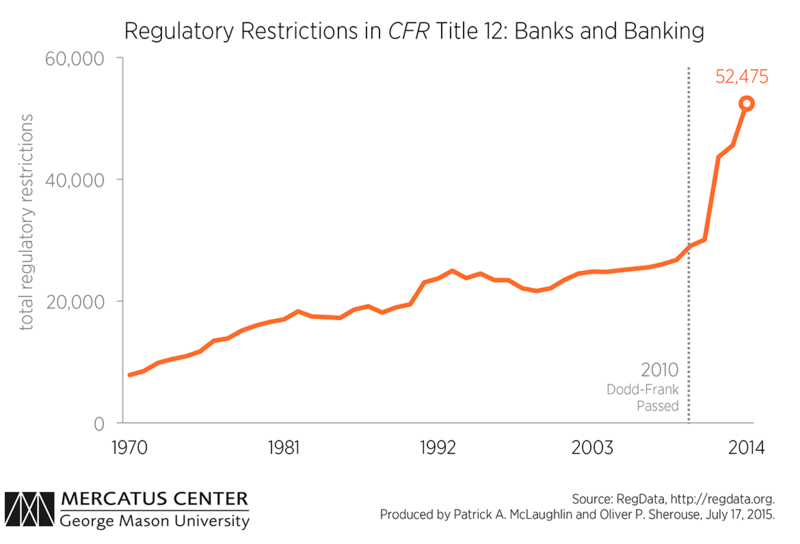 Nevertheless, it is clear from the chart that, when the crisis struck, banks were subject to more restrictions than ever!